Are bully bids the newest dragon in Toronto real estate? “It’s hard to work in this market when there are bully offers all over the place,” says Toronto Realtor David Fleming. “It happens all the time, and it’s frustrating for the buyers." That frustration stems from the frenzy into which buyers are thrust when a bully bid suddenly appears. Buyers who expected to have several days to mull over a purchase bid are left rushing to make a decision once a bully offer is made. Some agents believe bully bids are a valid response to the increasingly popular use of setting dates to receive offers, while others argue that bully bids are rule-breaking moves that undermine the entire profession. But are bully bids really that bad? If a house is listed for sale and someone wants to buy it, what’s wrong with the transaction going through as soon as possible? Fleming says the problem isn’t so prevalent in the outlying areas of the GTA or in Toronto’s condo market. 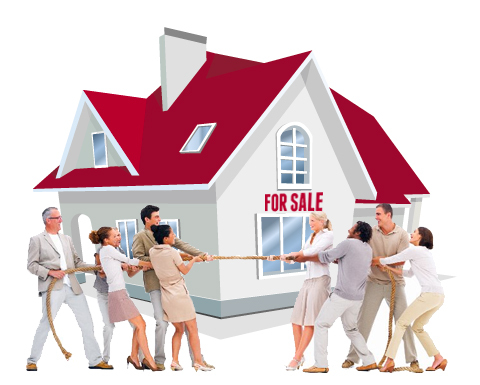 But for the single-family homes, which are difficult to come by in the first place, bully bids are becoming more and more commonplace as buyers attempt to circumvent the exhausting bidding wars and jump straight to their top price for a property. On the other hand, bully offers also tend to drive property prices up higher and faster; another thing that Fleming says is unavoidable. Are you finding a problem with bully bids? Let us know in the comments!